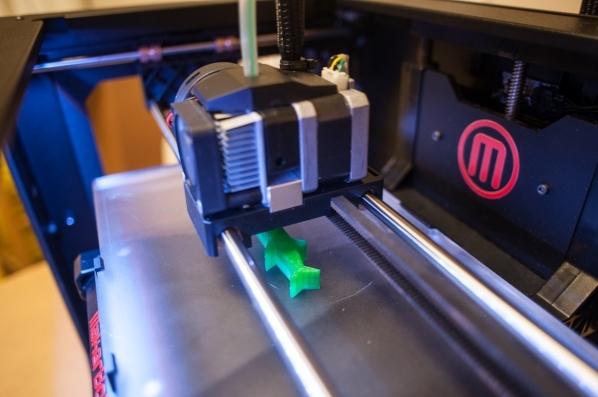 Will 3D printing make global supply chains unnecessary? That’s a real possibility, according to a recent report from Transport Intelligence, Smart Planet reports. 3D printing (or “additive manufacturing,” as it’s called in industrial circles) takes offshore manufacturing and brings it back close to the consumer. It has enormous potential to shift the trade balance. Goods will be cheaper to reproduce within the domestic market, versus manufacturing and then shipping them from a distant low-wage country. New technologies which are currently being developed could revolutionize production techniques, resulting in a significant proportion of manufacturing becoming automated and removing reliance on large and costly work forces. This in turn could lead to a reversal of the trend of globalization which has characterized industry and consumption over the last few decades, itself predicated on the trade-off between transportation and labor costs. The report adds that 3D printing “is already very good at producing products (even with moving parts) which previously would have required the assembly of multiple components,” and that by “eliminating the assembly phase there will be huge savings for the manufacturer in terms of labor costs.” 3D printing-based production could also reduce or eliminate storage, handling and distribution costs. Eventually, products may even be produced right in consumers’ homes, reducing what was a series of supply-chain interactions to a software-based transaction.